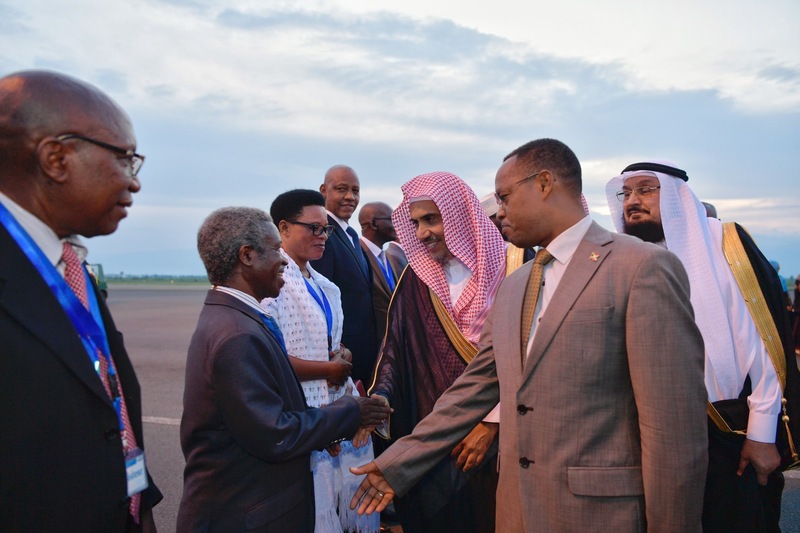 The SG of the Muslim World League arrives in the Republic of Burundi. He was received at Bujumbura International Airport by HE the Minister of Hydraulics Mr. Come Manirakiza, HE the Ombudsman Mr. Edouard Nduwimana, and HE the Minister of Justice Ms. Aimée Laurentine. The Muslim World League is an international non-governmental Islamic organization based in the Holy City of Makkah. The Muslim World League is an international non-governmental Islamic organization based in the Holy City of Makkah. Its goal is to clarify the true message of Islam. All Rights Reserved for Muslim World League © 2004-2019.